Humans have empathy, robots don’t. The Voight-Kampff empathy test in Blade Runner is fictional, so here’s a genuine two minute empathy test to see if you’re human or a replicant. This empathy quiz tests your ability to feel how others are feeling. 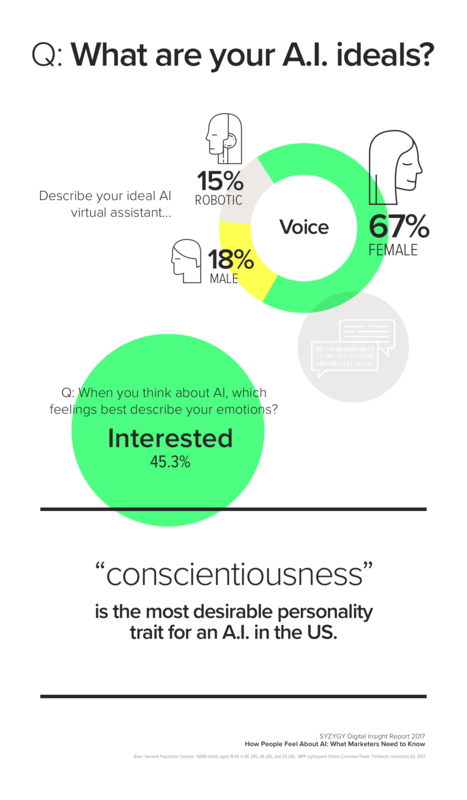 At SYZYGY, we believe in the power of empathy and we’ve conducted a survey to find out how people feel about artificial intelligence, technology that behaves intelligently. How People Feel about AI: What Marketers Need to Know reveals how the public feels about AI today and provides insights for businesses and brands looking to use or promote AI technology. The main message is that AI is okay, but pretending to be human is not. The public is open to AI playing a greater role in their lives, including in marketing, but they want to know when they are interacting with technology and not humans. 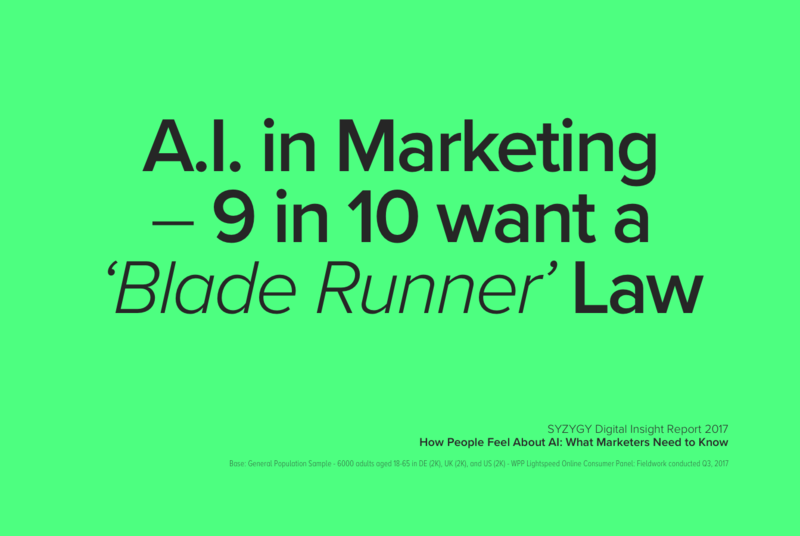 In fact 85% of the British public wants a new ‘Blade Runner law’ that makes it illegal for AI applications such as social media bots, chatbots and virtual assistants to conceal their identity and pose as humans. 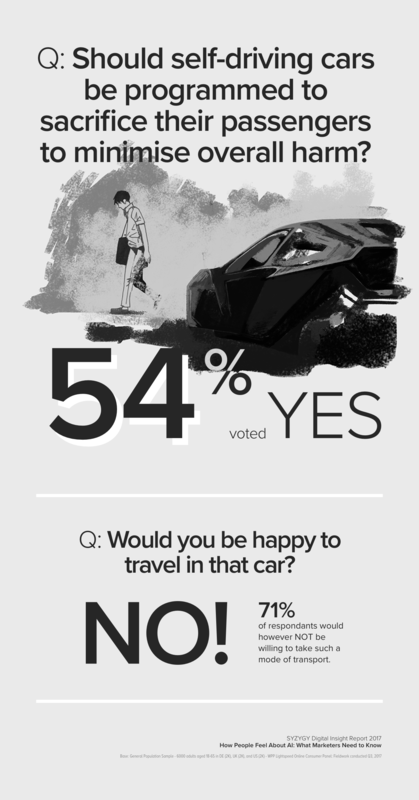 Get the whole story by downloading the full report now, and keep reading after the jump for some of the key insights. To get your download link, just fill in a few details below and you’ll be one step closer to understanding AI in Marketing. “This research reveals how consumers are conflicted when it comes to AI - many see advantages, but there are underlying fears based on whether this technology, or the organisations behind it, has their best interests at heart. Whether marketing AI, or marketing with AI, brands need to be sensitive to how people feel about this new technology. AI poses fundamental ethical issues in marketing and beyond that our industry needs to address - not least in how we respect the privacy, security and wellbeing of individuals. 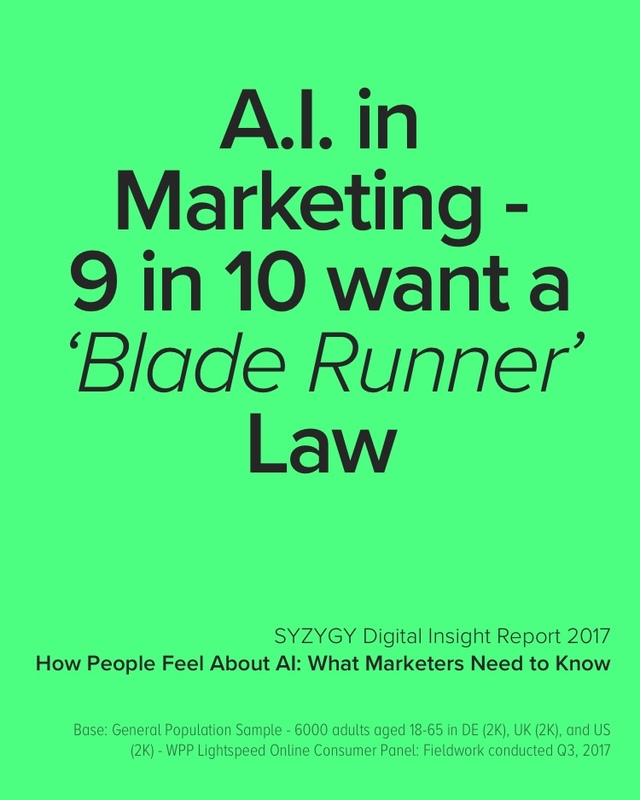 SYZYGY believes in the positive promise of artificial intelligence to benefit and empower people, and we support the development of guidelines for responsible use of marketing AI. The development of a voluntary code of conduct for the safe, transparent and responsible use of AI in marketing. The use of AI to deceive, manipulate or in any other way harm the wellbeing of marketing audiences. 42 free AI themed icons for you to download. Just select your format from the options below. Want to continue the AI conversation?